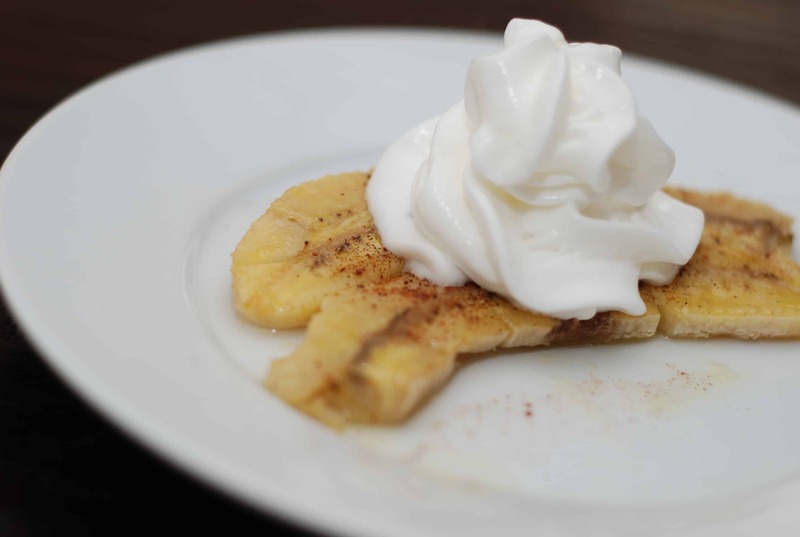 If you are a weight watcher with a serious sweet tooth, this easy dessert recipe for Baked Bananas Foster will make you beyond happy. Unlike many of the prepackaged diet desserts and low calorie ice creams, this tasty dish is made with all the good stuff! So there’s no “artificial” taste to it which I LOVE! And because it’s so sweet and decadent, one serving is very satisfying. Though this is not an official one of Weight Watchers Dessert Recipes, this deliciously rich Baked Bananas Foster Recipe is sure to be a hit with the whole family – dieters and non-dieters alike. Enjoy. Preheat oven to 400 degrees. Spray a baking sheet with the non-fat cooking spray. Cut the banana in half lengthwise, and place on baking sheet, sliced side up. Spray bananas with the butter spray until both slices are evenly, yet lightly coated. Drizzle bananas with maple syrup. Sprinkle with cinnamon and nutmeg. Bake in oven for about 10 minutes. Top with a dollop of fat free whipped cream right before serving. Yummy!! YUM! This was delish. I only used 1 Tablespoon of maple syrup (which was more then enough) and accompanied it with 1/4 cup of vanilla frozen yogurt. Still only came out to 3 points!